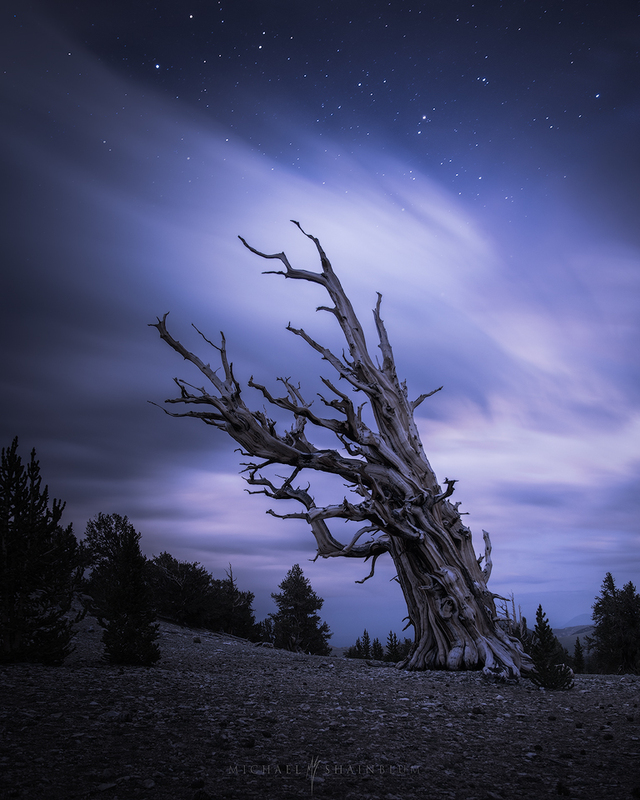 This workshop offers professional guidance to unique photography locations in Death Valley and the Eastern Sierra. You will receive in-field instruction on creative and technical skills within landscape photography, as well as a substantial two-part post-processing and timelapse editing instruction program. Get ready for hands-on experience with high-end motion gear for timelapses! Michael has a decade of experience in professional photography and filmmaking. He has always had a creative streak, from childhood comic-strip doodling and the construction of lego towers to the iconic landscape photography and timelapse work that he specialises in today. A dedication to challenging the boundaries of creativity, as well as a flair for coming up with unique ideas, has resulted in this dynamic visual artist being commissioned by large international clients including Nike, Samsung, Verizon, Disney, BMW and Google. 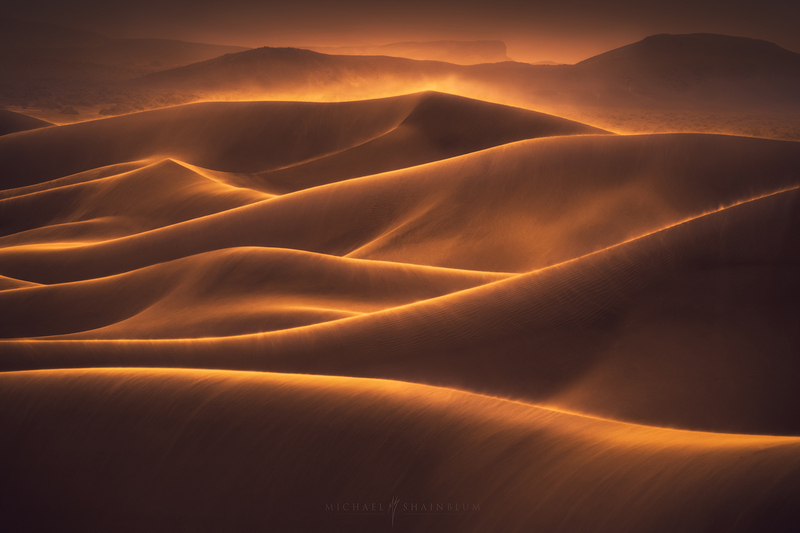 Michael's work has also been published widely by renowned media outlets such as National Geographic, Wired Magazine, Huffington Post and The Weather Channel. 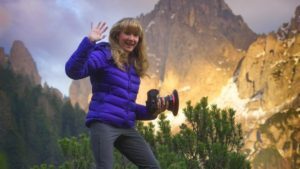 Erin is a full-time adventure landscape photographer, photography educator, writer, and speaker. She is known for her ambitious images, for her adventurous approach in the field, and for her thought-provoking writing and speaking. Her dedication to outdoor photography evolved out of her years working as an art historian, photographing at archaeological sites and in museums for the purposes of teaching and research. 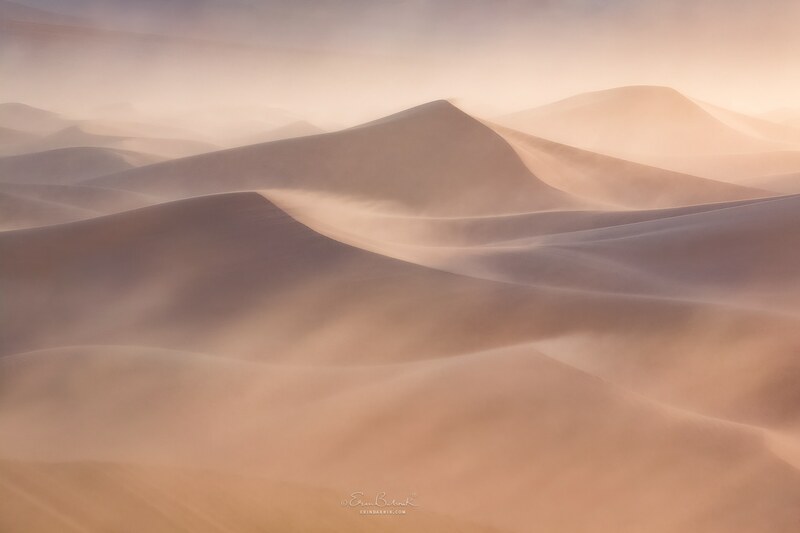 She subsequently spent years producing photographs on assignment before transitioning to her specialty of wilderness photography and teaching photography workshops worldwide. Erin draws upon her background in art history in bringing a deep knowledge of aesthetics, visual communication, and cultural relevancy to her own photographic work and to her ideas about the art of photography. 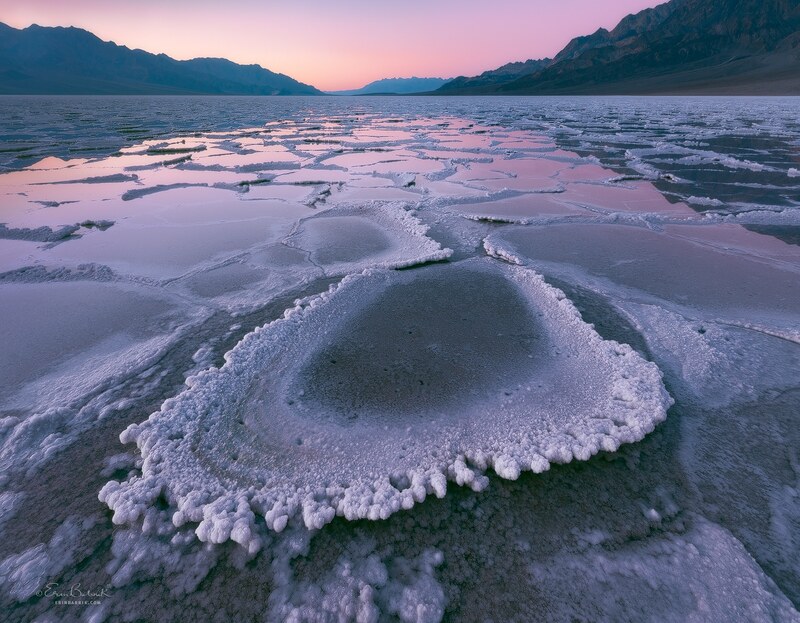 Location: Death Valley National Park & Eastern Sierra, California, USA. 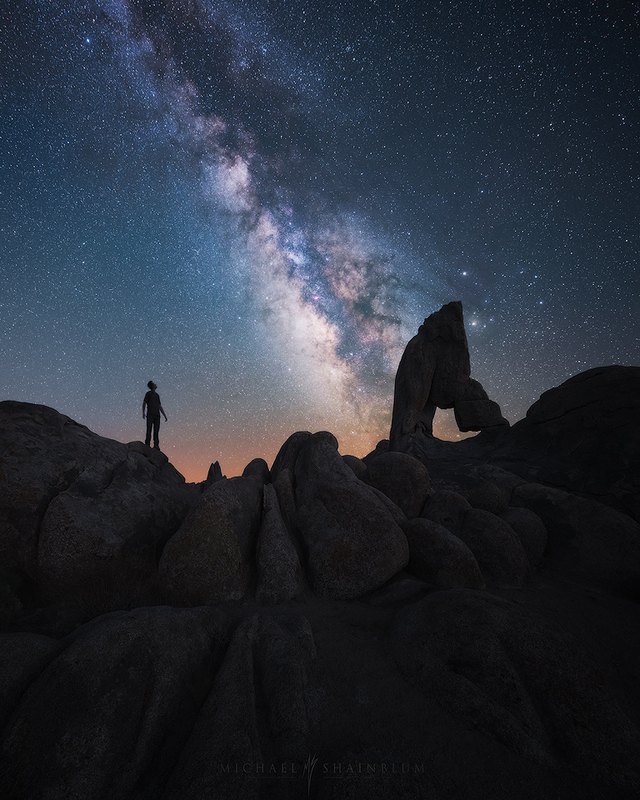 Join Michael Shainblum and Erin Babnik for a unique cross-disciplinary workshop that focuses on both fine art still photography and timelapse photography. 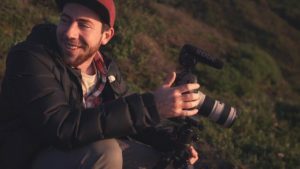 This workshop is intended for people who are interested in either of these photographic specialties and would like to further their potential by learning more about the creative concerns and techniques that these two modes have in common. We will begin by emphasizing the areas of overlap and explore the ideas and techniques that are specific to each specialty. By learning more about the realms of stills and timelapse, participants will leave this workshop with a great understanding of aesthetics and storytelling in either type of photography and will have technical training in both. 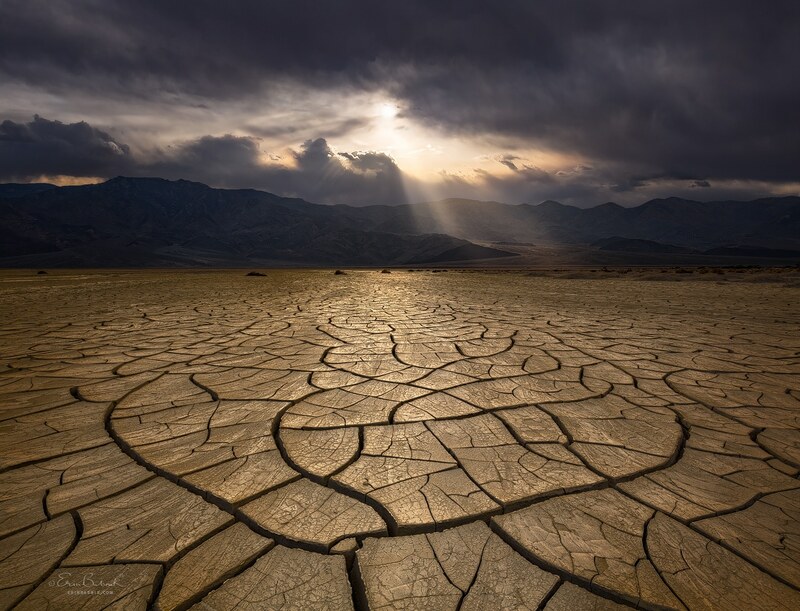 Our locations will include spectacular areas in Death Valley National Park and the Eastern Sierra that will provide us with a variety of photogenic scenes that are found almost nowhere else in such close proximity. We will have opportunities to visit winding rivers, jagged granite mountains, alpine lakes, otherworldly tufa formations, and diverse desert playas and dune fields. The precise location of each outing will be determined according to weather conditions in order to maximize the photographic potential of each day. Participants will have the benefit of two instructors and will have the opportunity to experiment with still and motion gear that we will have on-hand courtesy of our sponsors. We will begin our trip with an orientation lunch in the Furnace Creek area of Death Valley National Park (specific details regarding time and place will be made available to registered workshop participants). Following a short break, we will rendezvous for a sunset outing. Lodging to reserve: The nights of March 11–15 in the Furnace Creek area of Death Valley National Park. Specific lodging recommendations will be made available to registered workshop participants. After breakfast on March 16, we will depart for Bishop, California. We will have a sunset and a sunrise outing in areas nearby to this beautifully situated mountain town. Lodging to reserve: The night of March 16 in Bishop, California. We have arranged for a discounted group rate at the Best Western Bishop Lodge. Mention the name Erin Babnik Photography when making your reservation. The are many other hotel and camping options in and around the town of Bishop as well. Intervalometer. Inexpensive intervalometers start at about $20. An inexpensive model that we recommend is this one: LINK. Clothing & shoes. Weather conditions in the Eastern Sierra and desert during this time of year can be quite cold, especially during the morning hours. Bring insulating layers: good set of base layers, layers for warmth such as fleece and down. A shell jacket and hiking pants will help to protect against the elements as well. Good hiking boots or shoes are advised along with a warm hat and gloves. ✓ In-field instruction on the art and craft of both fine art still photography and timelapse photography. ✓ A substantial, two-part post-processing and timelapse editing instruction program. ✓ Hands-on experience with high-end motion gear for timelapse photography. ✓ Guidance to unique photography locations. × Travel and cancellation insurance. While adventure and great photos are our main goals, your safety is a priority. Erin is certified by Wilderness Medical Associates as a Wilderness First Responder (WFR), but safety begins with you. In order for participants to have a comfortable experience where they can concentrate on the photography, it is highly advised that you have proper attire consisting of outdoor dedicated clothing, including an assortment of layers to keep you warm.